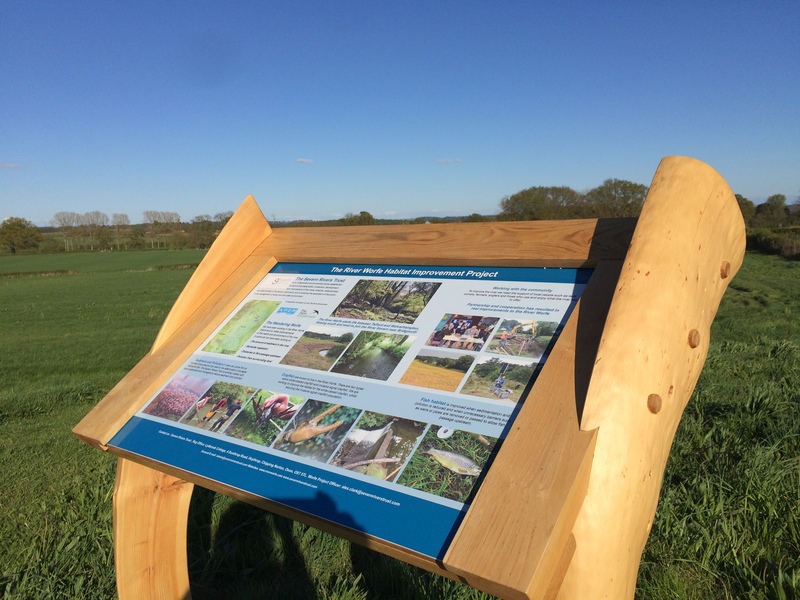 There’s a new a very smart River Worfe Habitat Improvement Project sign now at the start of Apley’s Skylark Nature Trail. 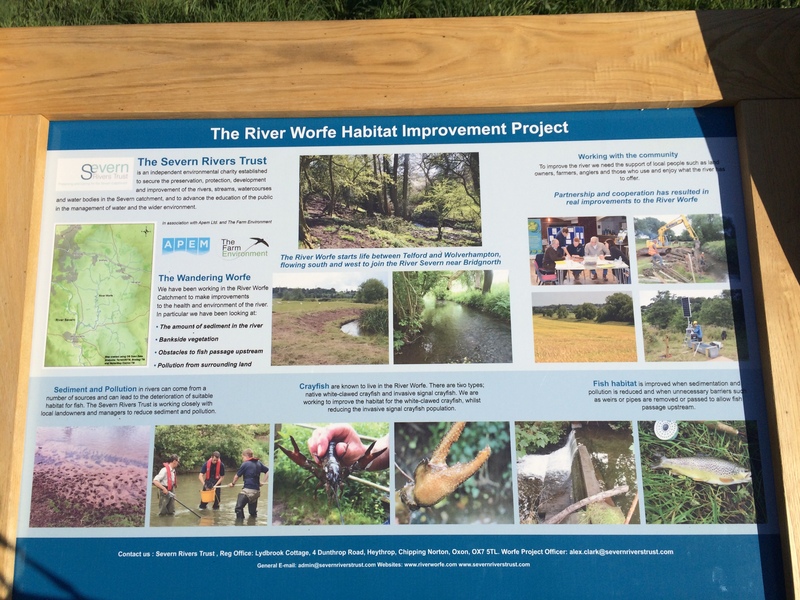 The Severn Rivers Trust has run a project to improve water quality in the Worfe Catchment which includes part of Apley (just below Apley Farm Shop). The project’s objective has been to improve the water quality in the Worfe by reducing pollutants & soil run off. This will increase the number of fish & other wildlife. The Astol Brook runs between Apley Farm Shop’s Skylark Nature Trail & Astol Farm (just over the fields) & into the Worfe at Stableford (just along the Rabbit Run, ie. the B4176). 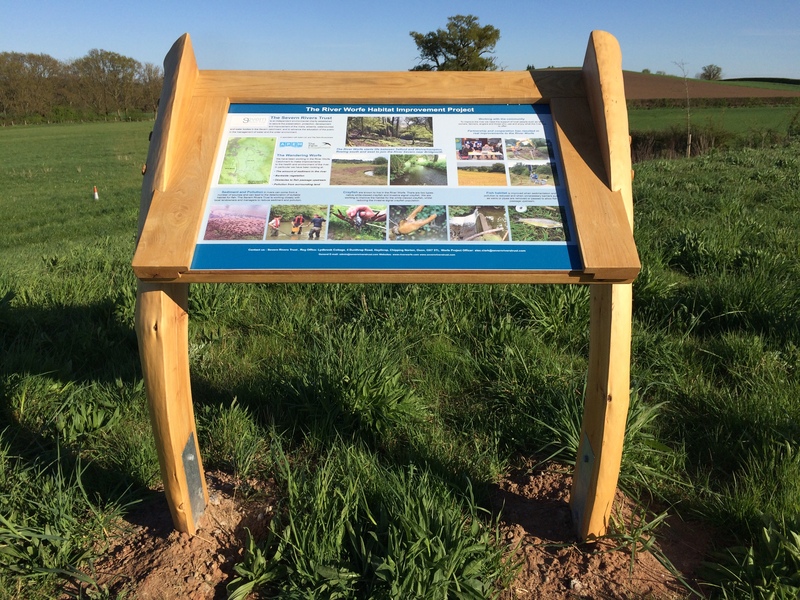 The Skylark Nature Trail is a great 45 mins walk, totally free, starting & finishing in the Apley Farm Shop car park. Many of our visitors get tempted to one of Julie’s delicious cakes in the The Creamery Café afterwards ! I finally got these photos of it when I was leaving Apley Farm Shop after a few hours of interviewing some super potential new Marketing Assistants. It’s going to be really hard to choose from the 5 shortlisted, all with slightly different skill sets.